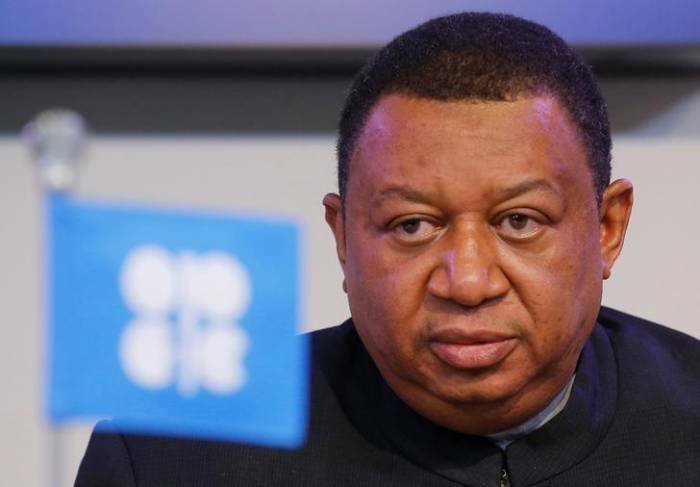 "OPEC+ meeting in Baku showed that challenge of balancing market is a continuous process"
OPEC+ meeting in Baku showed that the challenge of balancing market is a continuous process, AzVision.az reports citing OPEC Secretary General Mohammad Sanusi Barkindo. He made the remarks at the APPO CAPE VII Congress and Exhibition in Malabo, Equatorial Guinea. “We also recognize our mission is never accomplished; the challenge of balancing the market and maintaining stability is a continuous process. This was in evidence at the most recent meeting of the JMMC in Baku, Azerbaijan, on March 18. The ‘Declaration’ is not about short-termism. We are focused on continuity; we are steadfast and completely unwavering; we have long-term objectives and goals. This was exemplified in Baku through further statements of support by participating countries for a permanent intergovernmental platform, under the Charter of Cooperation between Oil Producing Countries,” he said. The Committee recognized the current, critical uncertainties surrounding the global oil market throughout 2019, and stressed on the shared responsibility of all participating countries in the ‘Declaration of Cooperation’ to sustain market stability and prevent the recurrence of any market imbalance, noted Barkindo. He went on to add that every country understands the importance of achieving full and timely conformity with their voluntary production adjustments under the decisions of the 175th Meeting of the OPEC Conference and the 5th OPEC and non-OPEC Ministerial Meeting, on the 6 and 7 December 2018. “Overall conformity levels to the new voluntary production adjustments, reached almost 90 percent for the month of February 2019, which is up from 83 percent in the month of January. We expect them to improve further in the coming months,” said OPEC Secretary General. “We also recognize the fact that underlying risks remain, such as ongoing trade negotiations, monetary policy developments, as well as increasingly complex geopolitical challenges and climate change-related concerns,” he added.